I'm not ready to think about shoveling snow just yet, especially in what is predicted to be an El Niño year. So while there's still time before the air turns crisp and cool, I'm getting in as much camping and as many picnics and barbecues as I can. And, that means I'm working my way through the remainder of my favorite summer wines. Can I share a bargain with you? Utah liquor stores (some, not all) are giving Mezzocorona Anterra Chardonnay from Italy a trial run here. This is a terrific wine at a terrific price: $5.99. No, that's not a typo. I don't usually think of Chardonnay as an ideal picnic wine, but this one is light and crisp (I don't detect any oak), with lemon and hints of ginger. Anterra reminds me more of French Chablis than it does a bombastic Chardonnay. It would be great with cold chicken salad and chilled seafood dishes. I really like screwtop wine bottles for picnics, camping and barbecues, because it's a sure bet that I'll forget to bring one of the 40 or so corkscrews that I own. I remember the first screwtop wine I ever encountered. No, it wasn't Boone's Farm. The first legitimate wine I ever had with a screwtop was Kim Crawford Sauvignon Blanc ($15.99) from Marlborough, New Zealand. It was at Stein's Eriksen Lodge's prestigious Glitretind restaurant, of all places. The Kiwis are justifiably renowned for their Sauvignon Blanc, and you can certainly find pricier ones than this. But I don't think you'll find a better value. I'd stack Kim Crawford S-V up against the fancy-pants wines from New Zealand in a blind tasting, and it would do just fine. The wine is simultaneously brimming with sweet tropical-fruit flavors but also has great acidity and crispness—a nice balancing act. It's a natural with oysters and grilled asparagus. I tend to eschew most wine gadgets, but here is one that is actually functional and adds some pizzazz to your summer sipping. 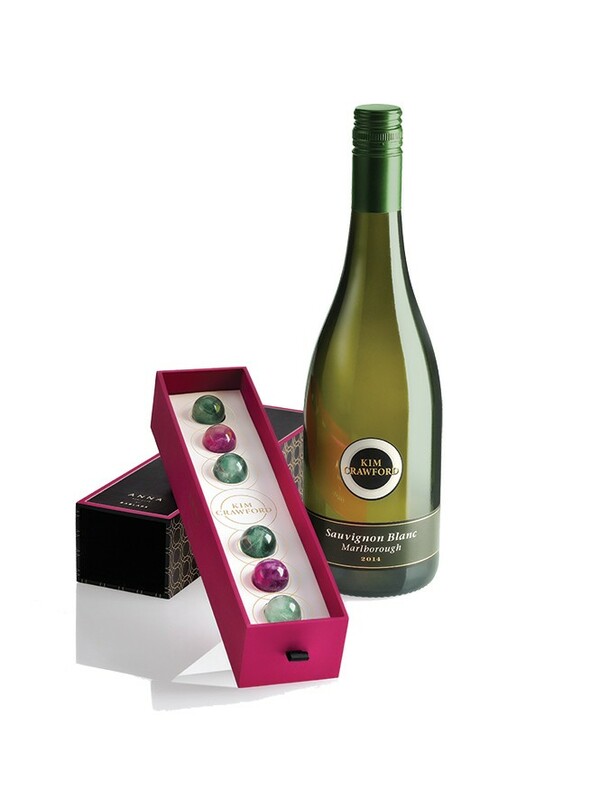 The aforementioned Kim Crawford Wines teamed up with designer Anna Rabinowicz of Anna NYC to create RabLabs Wine Gems. These are fluorite "gems" that look like stone marbles. The idea is to freeze the gems and then use them to keep your wine cool, even in hot temperatures. Because they're made from stone, they'll keep your glass of wine cool without diluting the wine's flavors. Pretty nifty, eh? They're $76 for a set of six with a carry bag, and can be found at RabLabs.com. If I could only choose one wine to drink during summer, it would probably be Rosé. Just last week, I wrote an entire column here about some of my favorites ["Rosé Roundup," Aug. 27, City Weekly]. One I didn't mention is another of my faves: Napa Valley's Domaine Chandon Étoile Rosé ($31.99). This is a beautiful sparkling wine made from the classic Champagne grape combo of Chardonnay, Pinot Noir and Pinot Meunier. When you decide to open that terrine of foie gras you brought home from France, open Chandon Étoile Rosé along with it. Fun fact: It's about $20 less here than it sells for in California, and even $10 cheaper than it is to Chandon Wine Club members. Finally, for years, one of my favorite go-to warm weather wines has been Conundrum ($19.99). Conundrum is a nontraditional white-wine blend made of Chardonnay, Sauvignon Blanc, Muscat Canelli, Semillon and Viognier. With that vibrant varietal mix, you can expect beautiful floral aromas, teamed with flavors that are elegant and exotic. It's perfect for your "say goodbye to summer" soiree.